Si Jun Zi Tang is the base for many formulas. We offer two versions- one with Dang Shen and one with Ren Shen. I would suggest the Dang Shen as most Westerners tolerate it better than Ren Shen which can make people “stuffy”. Although Spleen Qi deficiency is a common diagnosis and is associated with tiredness I would warn people against using Si Jun Zi Tang for “tiredness” without some more questioning. Often tiredness is caused by stagnation of damp and phlegm (among other many things) and Si Jun Zi Tang can make it worse. Actually I would look at the more complex Xiang Sha Liu Jun Zi Tang for most people. Liu Jun Zi Tang is a more complex formula that Si Jun Zi Tang and Xiang Sha is even more gently tonifying. 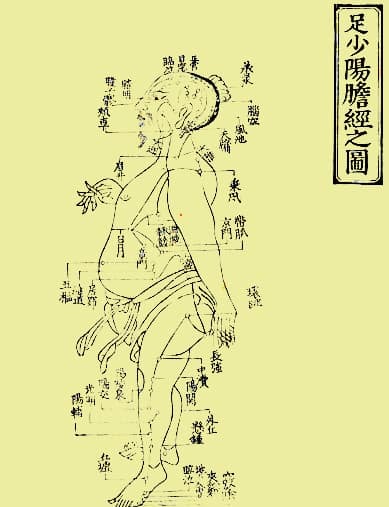 Si Jun Zi Tang is a common first formula for tonifying the Spleen and Stomach Qi. Dang Shen – Rx. Codonopsis – Tonifies the digestive functions and augments Qi. – With Fu Ling, for Spleen and Stomach Deficiency with fatigue, a sensation of fullness in the abdomen, dizziness, lethargy, shortness of breath, anorexia and loose stools or diarrhea. With Bai Zhu, for Spleen Qi Deficiency with anorexia, loose stools and vomiting. Bai Zhu – Rz. Atractylodis Macrocephalae – Strengthens the Spleen, augments Qi and dries Dampness. With Fu Ling and Zhi Gan Cao, for Spleen and Stomach Qi Deficiency. Fu Ling – Poria – Dries Dampness, strengthens the Spleen and moderates the drying nature of Zhi Gan Cao. With Dang Shen and Bai Zhu, for weak and deficient Spleen with fatigue, anorexia and loose stools. Zhi Gan Cao – Rx. Glycyrrhizae Preparata – Harmonizes, warms and strengthens the Middle Jiao and moderates the draining properties of Fu Ling. With Dang Shen, for anorexia, fatigue and loose stools due to Spleen Deficiency and palpitations due to Heart Qi Deficiency.With Dang Shen, Bai Zhu and Fu Ling, strengthens the Spleen and augments Qi. Thanks to Joel Penner at AmericanDragon.com.